The people of Rivers State are anxiously waiting to see how the Supreme Court will handle the pending appeals on the internal wrangling in the All Progressives Congress (APC) that led to its disqualification from the general election when it resumes sitting on the case from April 8 and 11. Already, tongues are wagging that a faction of the APC loyal to the Minister of Transportation, Mr. Chibuike Rotimi Amaechi, is allegedly working with the Attorney General of the Federation (AGF) and Minister of Justice, Mr. Abubakar Malami (SAN) to influence the apex court to reverse its earlier decision by annulling the governorship election won Chief Nyesom Wike. The apex court had on February 8 nullified a ruling of the Court of Appeal which allowed the APC to field candidates in Rivers State in the general election. In its decision, the court said the appellate court failed to invoke relevant sections of the law in voiding the decision of the Federal High Court barring the party from participating in elections in the state. A faction of the APC in the state had challenged the decision of the high court at the Court of Appeal. But the Supreme Court questioned the basis upon which the Appeal Court reached its ruling and set the decision aside while upholding the ruling of the high court. This judgment sealed the fate of the state APC candidates from participating in the National Assembly election on February 23, as well as, the governorship and state House of Assembly elections on March 9. Observers are therefore wondering if the apex court has any basis to reverse itself or descend into the political arena due to the desperation of one man after its decision had sealed the fate of the party by stopping it from fielding candidates during the just concluded general election. They also wonder that if the court on many occasions in the past could not reverse itself on more important cases, what makes the case of the APC in Rivers State special? 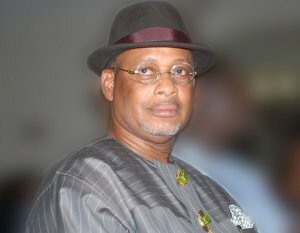 Some of those who spoke with THISDAY reviewed instances where the apex court had defended and held on to its pronouncements, thereby foreclosing the chances that it would ever go back on its decisions, and concluded that if that could be achieved, there is nothing special about the Rivers APC wrangling. One of such instances was when the former governor of Rivers State, Sir Celestine Omehia, filed an application before the court, seeking it to review its judgment delivered on October 25, 2007 between him and the then governor, Rotimi Amaechi, where he was sacked from office. The former governor had hired James Esike, to pursue the case on his behalf. When the application came up for hearing, it was laced with melodrama. Esike had argued that the judgment was a nullity on the grounds of lack of jurisdiction and competence to make the order not sought for, saying that the court was wrong. For the lawyer’s effrontery to ask the court to reverse its judgment, the justices on the panel descended on him. First to fire the salvo was the then Chief Justice of Nigeria (CJN), Justice Aloysius Katsina-Alu, who was furious and could not imagine the lawyer’s guts. He did not only instantly dismiss the suit, but humiliated the counsel. The CJN ordered him to sit down. “In my view, your action here is a serious professional misconduct. We have given our decision two years ago and you are here asking us to review it. Even if we stay here till December, you will get nothing. At best, you can attract punitive damage. Whether right or wrong, that judgment stands. You are threading a dangerous ground. We have no right to sit on appeal over our decision. Our judgment is not a nullity and you can go on and appeal to God. One thing I know is that God is not your client. If you persist trying that path, you won’t go home today. You don’t talk as if you are talking to some juniors in your chambers. “This application is clearly misguided and ill-advised. But it affords us the opportunity to warn counsel to desist from bringing frivolous applications before us. If a court has the jurisdiction to hear a case, it follows that it has jurisdiction to be wrong or right in its judgment. This application is clearly an abuse of court process and it is accordingly dismissed,” Justice Katsina Alu held. On his part, Justice George Oguntade stated that it was wrong for the litigants to decide to turn the court to “a musical chair” that could be swerve anyhow, asking whether the applicant wanted the court to start replacing the governor with every application asking for it. Before Omehia’s application, Senator Andy Uba had twice approached the apex court to reverse its judgment. On the first occasion, Uba filed his application alongside INEC and the governorship candidate of the Nigeria Advanced Party (NAP) in 2007, Mr. Ifeanyichukwu Okonkwo, seeking to set aside its earlier judgment delivered on June 14, 2007 which declared Mr. Peter Obi as the legal occupant of the Anambra State Government House. The second time Uba attempted to push his luck again at the apex court was through his lawyer, Mr. Joseph Daudu (SAN), who was then the President of the Nigerian Bar Association (NBA). Of course, he received some serious bashing. 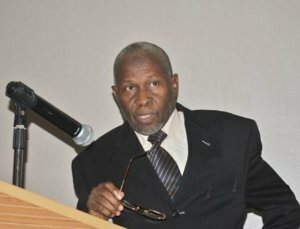 Before preparing the judgment, the then CJN, Justice Idris Legbo Kutigi, who presided over the case, fumed at the perceived effrontery of Uba and Daudu to bring the application before the court, which, according to him, was a mere attempt to rubbish the integrity of the judiciary in order to fulfill his gubernatorial ambition. Justice Kutigi held, “This court held in its earlier judgment that the notice of appeal filed by Peter Obi at the Court of Appeal was valid. Yet, after our judgment, the applicant went straight back to the trial court to ask it to void the same notice of appeal which this court (Supreme Court) had declared valid; when he failed, he went back to the Court of Appeal and failed and has returned to us,” Kutigi observed. Another instance where the apex court refused to review its verdict was in the case between Muhammadu Dingyadi of the Democratic Peoples Party (DPP) and Aliyu Wamakko of the Peoples Democratic Party (PDP) over the Sokoto State governorship tussle. The court also made it clear that no amount of antics and trickery by counsel and their clients will ever make it revisit a case it had earlier decided in May 2014 when it ruled on an application filed by Dr. Dickson Osuala, the counsel to the governorship candidate of the Democratic Peoples Party (DPP) in Delta State, Chief Great Ogboru, against the election of Governor Emmanuel Uduaghan of the PDP. It used the opportunity also to send a very strong signal to lawyers that it would no longer tolerate abuse of court processes. In the matter, which had twice been dismissed by the court and refiled by Osuala, he premised his action on Section 285 (7) of the Constitution which he claimed was fraudulently inserted by the National Assembly. He argued further that since due process was not followed by the National Assembly in enacting section 285 (7) into law, it was wrong for the apex court to have relied on it to dismiss his client’s case. Justice Onnoghen who presided over the matter, talked down on Osuala and advised him not to ever come to the apex court with any application in respect of the case. He blamed the counsel for not properly guiding his client and embarking on a clear case of gross abuse of the court‎ process. The judge told counsel to advise his client to take his case to heaven if he was not satisfied with the court’s ruling. Against the background of these precedence, many analysts wonder if the Amaechi faction of the APC has a case or if the court will make the case an exception. In a country where most lawyers premise their arguments on citation of past cases or where the decisions of courts are based on precedence, is the case of the Amaechi faction not tantamount to a wild goose chase?